Why do virtually everything we buy come from China? You, of course, have already bought Chinese products in Brazilian trade. These products are a constant presence in the national market. But why does China dominate so much the distribution of goods in our country? The answer to this scenario is one: the price! China is a powerhouse in the manufacture of all kinds of products and therefore has become one of the largest exporters in the world. The wide range of products, the large-scale production and the extremely low price are responsible for China's massive presence in the Brazilian market, either in the famous stores of $ 1.99, in the popular street market or in theAmong the main products sold by the Chinese, we find toys, electronics, clothes, accessories, jewelry, bicycles, among other things. Currently, China is the second most considered country by the Brazilians for purchases, being behind only the United States. To get an idea of the potential of the Chinese, only in electronic commerce, the country earned in the first half of the year an approximate value of US $ 816 billion.Internet . 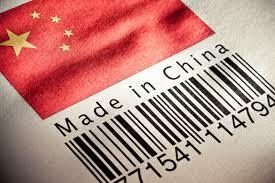 China manages to sell cheap products because of its manufacturing costs. The country can produce on a large scale because its production is very cheap, a direct result of flexible labor laws, which generate low-cost labor and very little tax burden. For these reasons, a video game that costs $ 2,000 in Brazil can be found in China for only $ 500. In the case of cars, in China only 20% of the value of the vehicle corresponds to taxes. In Brazil, the value of taxes corresponds to 40% of the final price of a car. In general, goods such as bicycles, computers and DVDs from China present a final price of 10% to 20% cheaper than those manufactured in Brazil. Currently, this potential for cheapening products in China makes the country export significantly to Africa, Latin America and Asia. The price of the Chinese product is low mainly because of production steps, which are based on high technology and cheap professionals , even in the engineering sector. This also explains the growing diversity of Chinese products.